According to the American Academy of Pediatric Dentistry, very young children should make a trip to the dentist within six months of their first tooth eruption. At Brosy Family Dentistry, we recommend that you bring your child in for a dental checkup before age three. It’s critical to get an early jump on your child’s dental health and to establish lifelong habits that will save time and money down the road. Having been established in 1989, Brosy is proud to have watched many patients grow from toddlers with one or two teeth to young adults who project a healthy and confident smile when they visit us. Carrying on the tradition established by Dr. Lynn Brosy, her daughter, Dr. Erin Anderson, and her staff offers an empathetic, one-on-one approach to children of all ages. After all, Dr. Anderson is a mother herself! The Brosy team uses storytelling, books, stuffed animals and a trip to the treasure chest to foster a fun and relaxing environment for young patients. As most parents know, children can be quite unpredictable, and the same goes for their oral health. How can you tell when your child is teething? Is breastfeeding or the use of pacifiers impacting your child’s future dental health? Are dental X-rays safe for young children? Which foods can help strengthen teeth? At Brosy Family Dentistry, we are here to answer these and all the other questions that come up regarding your child’s teeth. 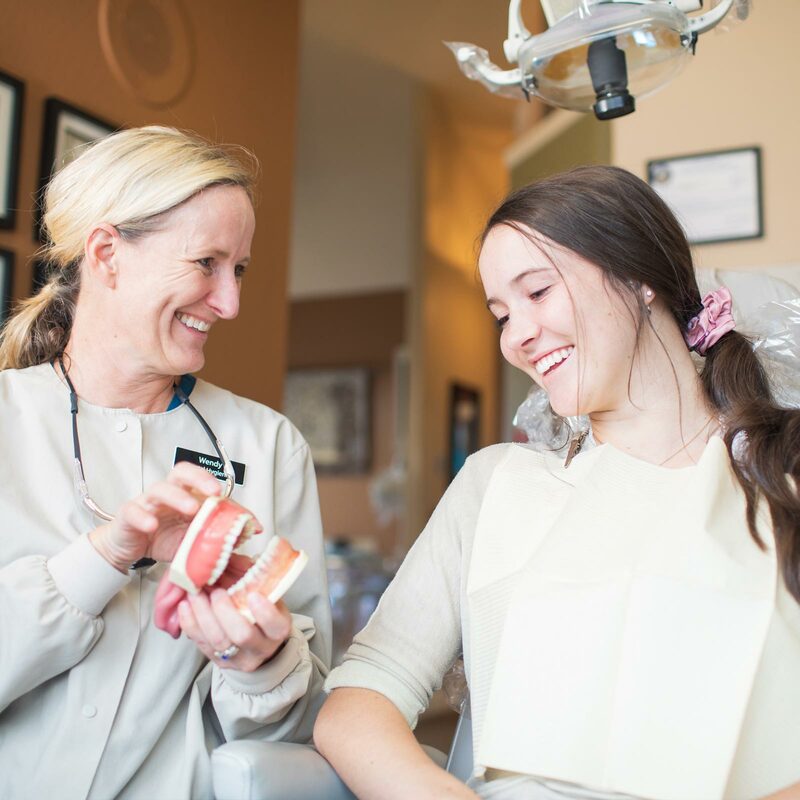 Our philosophy is one of preventative dentistry, meaning we take steps to ensure your child will have a healthy smile and teeth that are ready to last them a lifetime. 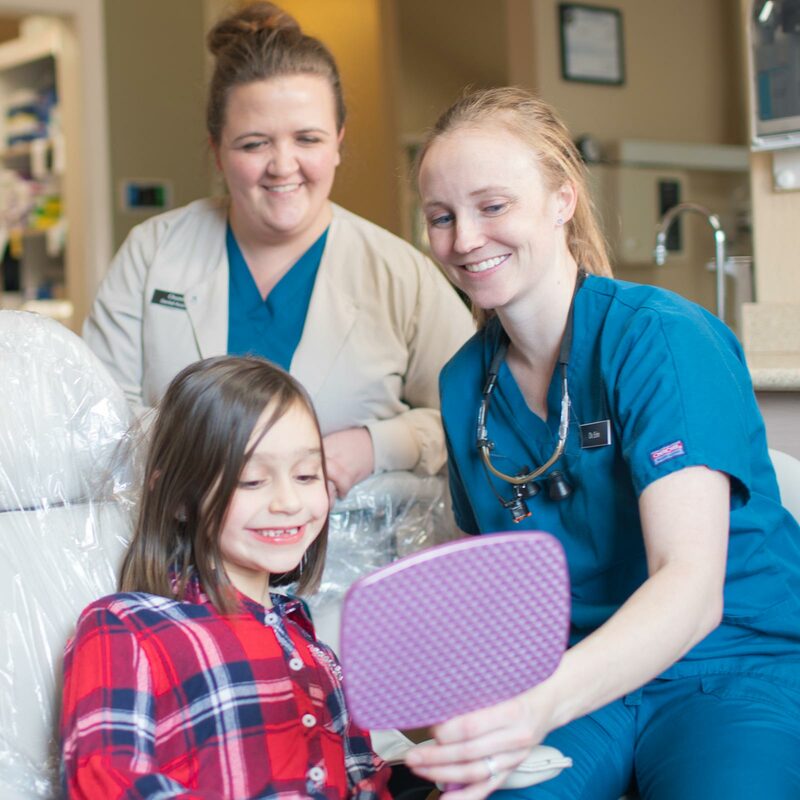 One of the steps we take at Brosy is to use sealants, which helps prevent tooth decay and cavities once your child has developed permanent molars or back teeth. Because these teeth are used for chewing - coupled with the fact that they’re hard to reach - it’s vital to protect these teeth that usually come in around ages 5 to 7. A second set generally appears between ages 11 and 14. The sealant process is simple. First, Dr. Anderson applies an adhesive to the chewing surfaces of the appropriate tooth or teeth. Then, the sealant is effectively painted on the tooth as a liquid, which hardens and creates a barrier between the teeth and any plaque, food or bacteria that might threaten it. Lasting for several years per application, sealants may be reapplied as needed. 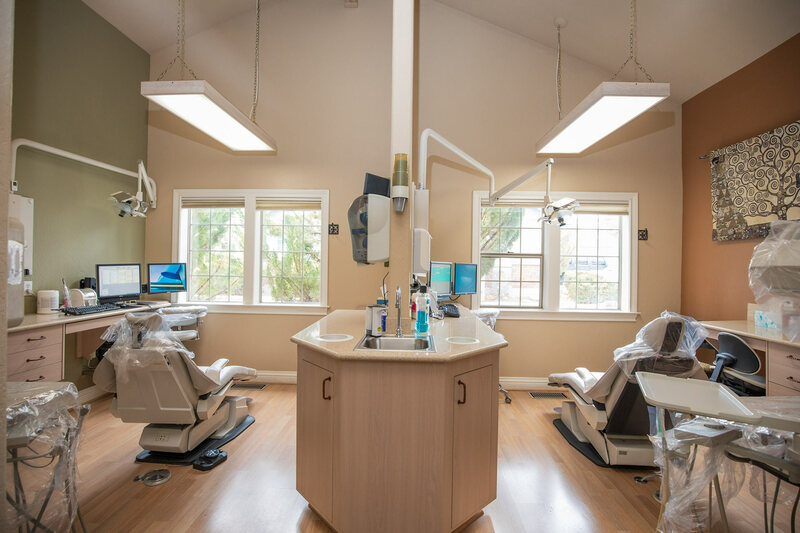 In addition to sealants and regular teeth cleanings, Brosy Family Dentistry offers a variety of children’s dentistry services, including fillings, comprehensive exams, Silver Diamine Fluoride (SDF) treatments and other general procedures. Contact us today to explore all the options for setting you child up for a successful and healthy future.